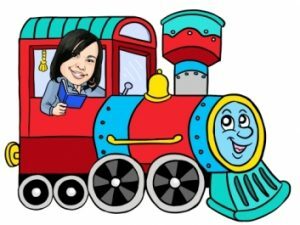 Home Inventors Free Inventors Dr. George F. Grant…Teeing it Up! Patent #628,920, December 12, 1899Dr. George Franklin Grant was born in Oswego, New York in 1847, and was the son of former slaves. 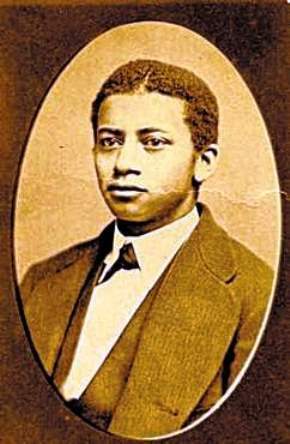 He graduated from Harvard Dental School in 1870 and later became one of two African Americans to teach there. Dr. Grant was an avid golfer. However, in his day, the average golfer destroyed grass courses and terrorized other golfers, homeowners and passers-by with wild, dangerous drives. Dr. Grant often became frustrated with golfing, because every time he got ready to hit the ball, it rolled away from him. There was simply nothing to keep it stationary when a golfer was getting ready to tee off. The ball usually ended up being a wild shot because the golfer had to swing wildly just to be able to make contact with it. 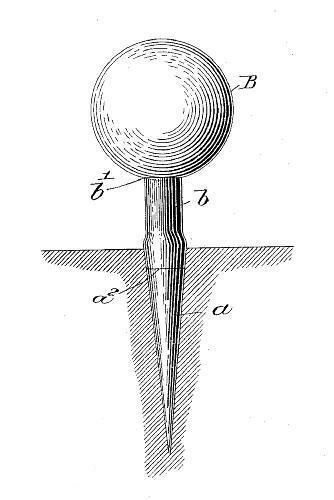 Dr. Grant set about to improve the game of golfing by inventing and obtaining a patent on a “golf tee.” His invention, which was made of a small wooden peg with a concave piece of rubber on top, raised the golf ball (made of rubber at that time) slightly off the ground. This simple invention held the ball in place and gave the player greater control over the ball. Also, since the golfer had better control over his golf club, he therefore had better control over the direction and speed of the drive. This promoted longer drives. Although a small and simple invention, Dr. George F. Grant’s invention has become a standard piece of equipment for all golfers.